ASLM What is the difference between SLIPTA and SLMTA? 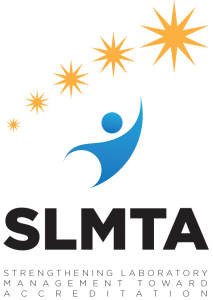 What is the difference between SLIPTA and SLMTA? A framework of auditing developed in line with the ISO 15189:2007 Standards and to a certain extent with the 12 Quality System Essentials of the CLSI Laboratory Quality Management System Guidelines. It is used to measure and evaluate the progress of laboratory quality system and award a certificate of recognition (five star levels). It can be used at baseline, during supervision, and for monitoring and evaluation of laboratory progress towards accreditation. For additional information about SLIPTA, please SLIPTA@aslm.org us. For more information about SLMTA, please dbx4@cdc.gov Dr. Katy Yao.